The Muttart Foundation has called upon the federal government to reinstitute studies into Canada’s voluntary sector. 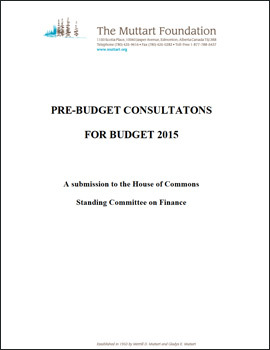 In a submission to the House of Commons Standing Committee on Finance, the Foundation encouraged the committee to recommend funding be restored to Statistics Canada to allow the agency to reinstitute three studies – the National Survey of Nonprofit and Voluntary Organizations, the Satellite Accounts and the Canadian Survey of Giving, Volunteering and Participating. A copy of the Foundation’s submission is available here.